Obtaining a Letter of Acceptance from a Canadian Designated Learning Institution (DLI) is the first step in the application for a Canadian study permit. *The Letter of Acceptance is required to state a date of expiry. If processing of the study permit application has not been completed before the expiry date of the Letter of Acceptance, an extension letter may be requested from the institution and submitted to IRCC to support the study permit application. Immigration, Citizenship, and Refugees Canada (IRCC, formerly known as CIC) provides a template for the Letter of Acceptance, and instructions for completing the required information. It is important to note that a Letter of Acceptance from a DLI is not a guarantee that the study permit application will be approved. 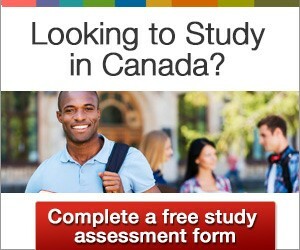 It is at the discretion of IRCC to approve an application for a study permit. Certain potential students may be exempt from the requirement for a Letter of Acceptance. If a foreign national receives written approval for a temporary work or study permit before entering Canada, his or her family members may apply for a study permit without a Letter of Acceptance. 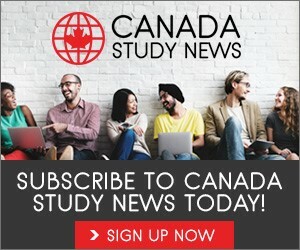 Potential students who wish to pursue a study program of six months or less in duration do not need to obtain a Letter of Acceptance, because they do not require a study permit. The semester(s) that the potential student intends to spend at a different institution. When the study permit is issued, the DLI may be specified as the institution that issued the Letter of Acceptance. However, other institutions may be listed in the Remarks section of the study permit. A Letter of Acceptance may be issued to a potential student stating that the offer of a place in a study program is conditional on the student first completing a prerequisite course or study program. For example, a potential student may be required to complete an English as a Second Language (ESL) or French as a Second Language (FRSL) course before pursuing the more advanced study program. In these situations, a study permit is issued for the duration of the prerequisite program only. After successfully completing the prerequisite, a student may apply for another study permit for the next study program. A second Letter of Acceptance is not generally required for the renewal of a study permit. However, the immigration officer examining an application for a study permit renewal has the right to request proof that the applicant has met the requirements of the original study permit. This may manifest as a letter from the institution clarifying that the student has been actively pursuing his or her studies.